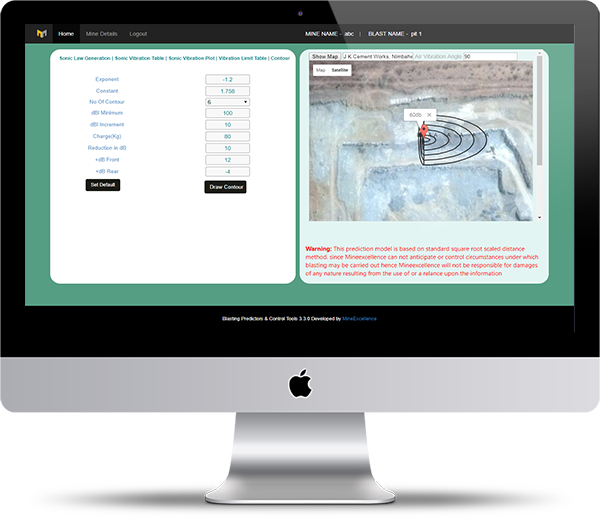 Based on desired blasting inputs such as face co-ordinates, hole diameter, pattern layout, face rock characteristics and location, face profile, hole diameter, pattern layout, desired fragmentation size, explosives and initiating devices, environmental constraints, BLAST DESIGNER SOFTWARE (BLADES) calculates blast plan parameters, explosives charge distribution, initiation timing and sequence, results in terms of rock breakage and fragment size distribution. Attain ideal blast results with correct Blast Design. 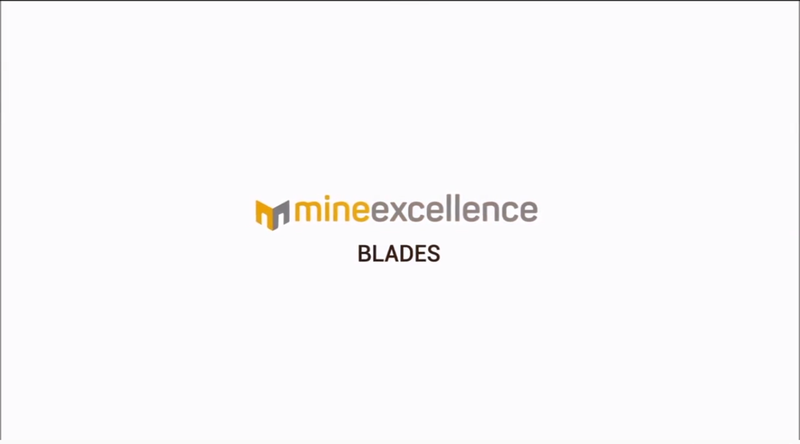 MineExcellence provides an innovative technology solution - BLADES to achieve optimum blast results. 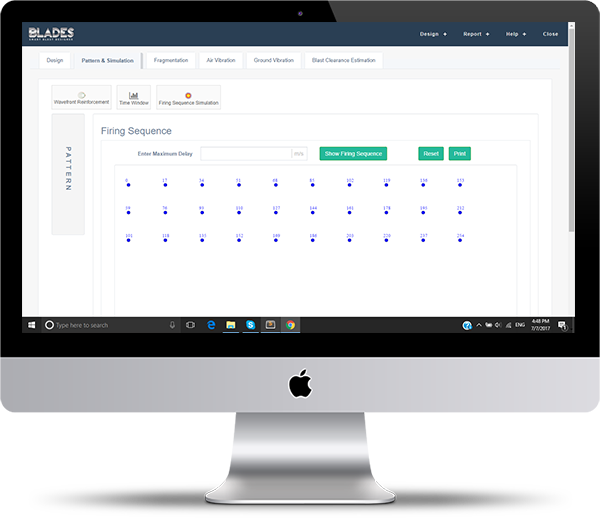 Predictive analytics for Air & Ground Vibrations MineExcellence Air & Ground Vibrations Predictor software for maintaining optimum blast vibration levels. Generates blast plan and according to the delay pattern structure, simulation. 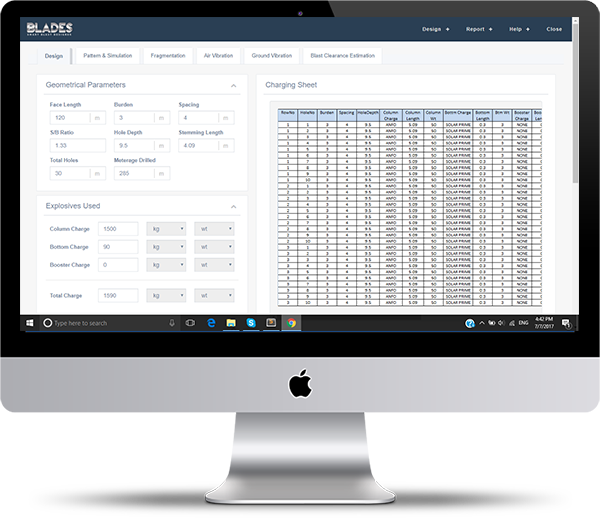 BLAst DESigner Software (BLADES) calculates blast plan parameters, explosives charge distribution, initiation timing and sequence, results in terms of rock breakage and fragment size distribution. Generates optimized charging sheet for the blast. Provides Drilling and Blasting cost analysis for given blast design. Displays ground and air vibration contours of the blast design, Fragmentation size distribution, Comparative Performance with actual blast results, in similar rocks, different benches, different explosives and parameters. Draw blast plan on google map, create tie-up line on holes and simulate firing sequence. See nearby infrastructures like offices, roads, houses etc. on google map near blast location. 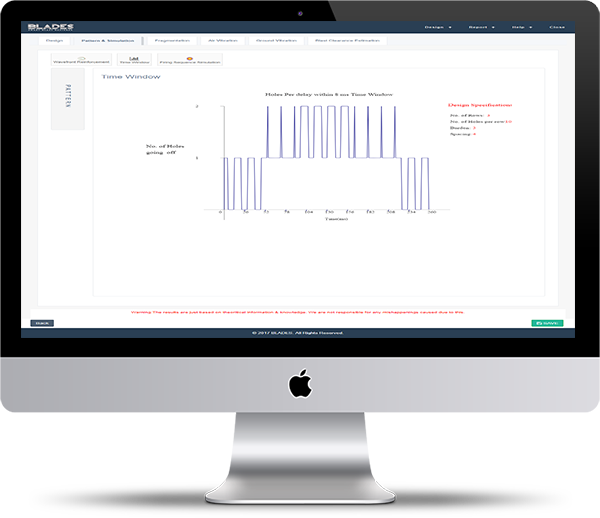 Alerts/Notifications based on prelimit of safety factors and fragmentation limit. Drone option for visualize and simulate blast plan. Import sheet of existing design. Export charging and drilling sheet.